joints, skin, lungs, blood vessels, kidneys and central nervous system (CNS). remissions and flares, which may be acute or chronic. erythematosus form of cutaneous lupus. sufficient tears to lubricate and nourish the eye. of something in the eyes, excess watering, and blurred vision. the white scleral (outer) layer of the eye. be the first sign of the disease. The presence of these lesions seems to correlate with active disease. disease complications seen in lupus. movement and alignment, poor pupil reflexes, and droopy eyelids. loss of vision from lupus optic neuropathy. 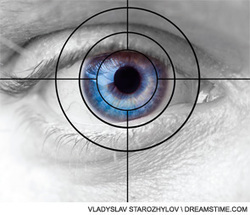 loss of peripheral vision and/or central vision.